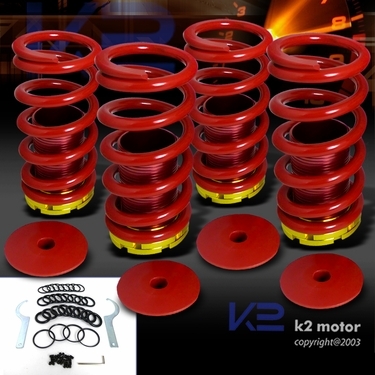 Comes with front & rear red body gold top coilover springs! Adjustable from 0" to 3" inches by simply turning the adjusters up or down while maintaining a steady and comfortable ride. 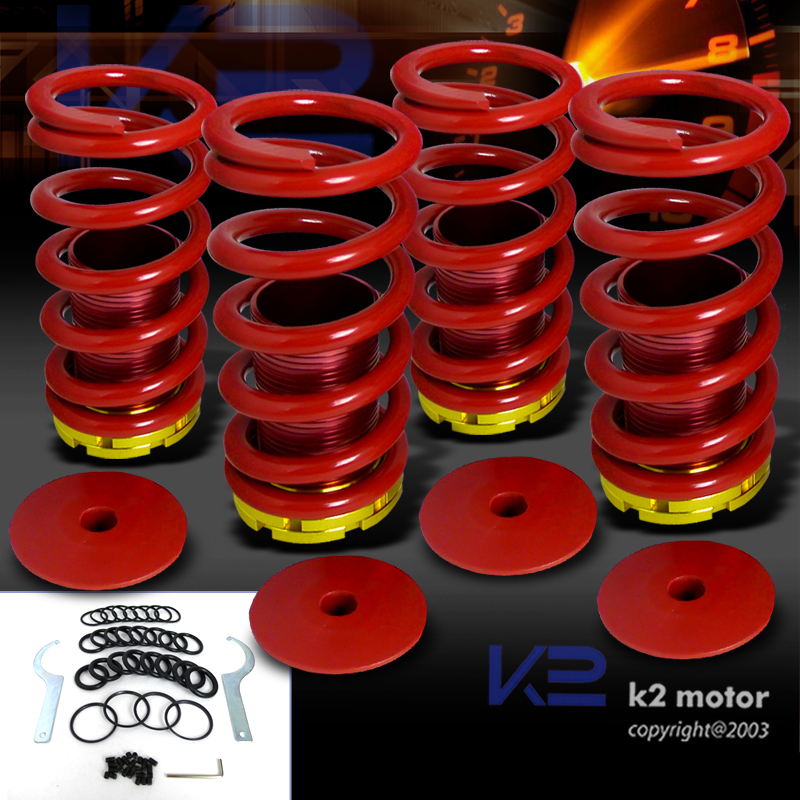 Complete kit includes aluminum sleeves and dual locking perches, coil springs, aluminum centering top hats, spanner wrenches, bag of plastic rings. Complete Kit: Aluminum Sleeves And Dual Locking Perches, Coil Springs, Aluminum Centering Top Hats, Spanner Wrenches, Bag Of Plastic Rings. Designed To Provide Ride Height Adjustment From 0" To 3" Inches By Simply Turning The Adjusters Up Or Down While Maintaining A Comfortable Ride. 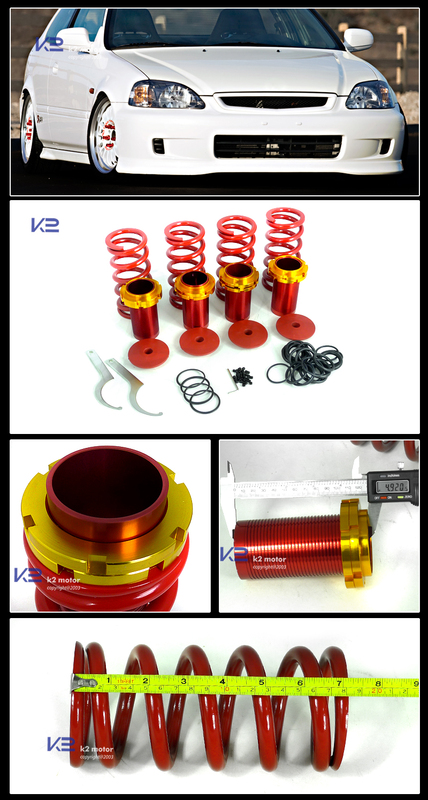 94-01 Acura Integra Coilover Springs High/Low Kit - Red Color Complete Kit: Aluminum Sleeves And Dual Locking Perches, Coil Springs, Aluminum Centering Top Hats, Spanner Wrenches, Bag Of Plastic Rings. Designed To Provide Ride Height Adjustment From 0" To 3" Inches By Simply Turning The Adjusters Up Or Down While Maintaining A Comfortable Ride.